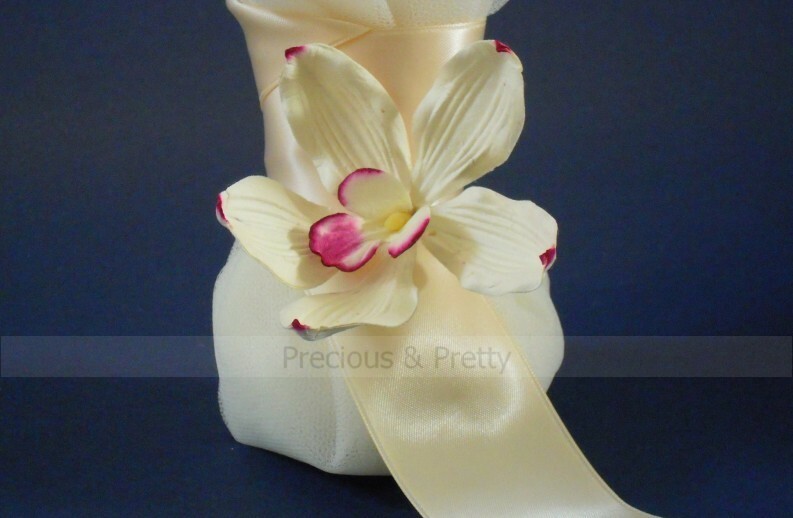 Handmade wedding favors with ivory tulles, decorated with a beautiful paper orchid and tied with ivory satin ribbon. Traditional Greek wedding bomboniere well suited to orchid-themed weddings. They are also available in other colors and contain tulle with 7 sugar coated almonds of the company Chatzigiannakis. THIS ITEM IS OUT OF STOCK. PLEASE CHOOSE ANOTHER DESIGN FROM OUR WEDDING FAVORS' COLLECTION HERE OR CONTACT AS FOR A CUSTOM ORDER. 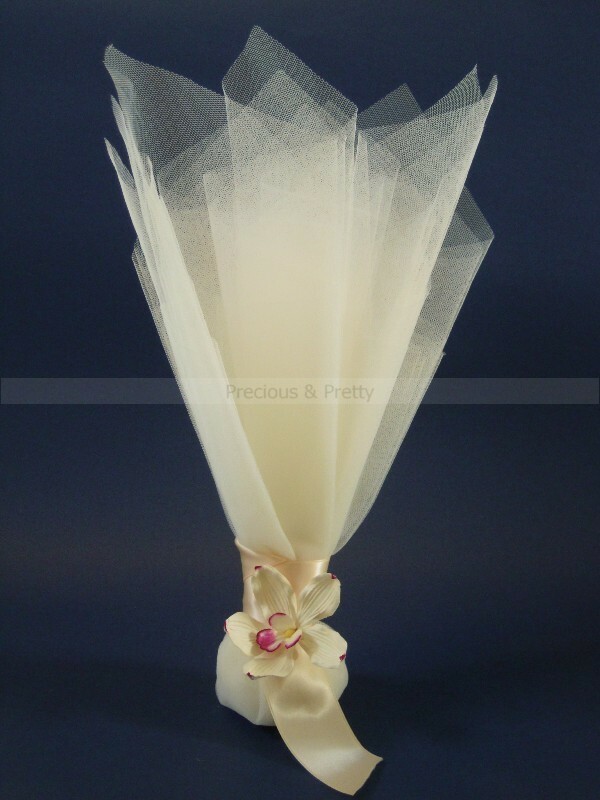 https://www.preciousandpretty.com/2012/02/handmade-wedding-favors-ivory-orchid.html Greek Wedding Favors|Orthodox Crowns|Stefana|Baptism Invitations Wedding favors with a beautiful paper orchid G105 Wedding favors with a beautiful paper orchid G105 by Greek Wedding Favors|Orthodox Crowns|Stefana|Baptism Invitations Product #: Greek Wedding Favors|Orthodox Crowns|Stefana|Baptism Invitations_7760970677981662463 5 stars out of 5 reviews.